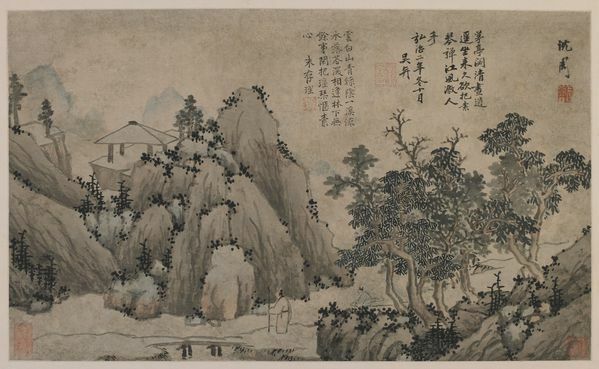 Strolling with a walking stick along a mountain stream, a robed gentleman leisurely approaches a low bridge. Following him is a serving boy clasping a wrapped qin 琴 (zither or lute), the quintessential musical instrument of the Chinese gentleman scholar. The man may be heading toward the simple pavilion across the water, hoping to find inspiration for his upcoming musical performance in its vista.